And on and on we’d go. We finally settled on this bit of whimsy: Too-many-ideas & Too-many-questions. Kerri was going to be Too-many-ideas and I was intended to be Too-many-questions – but we changed our minds in the final hours. At the party you might have asked, as many people asked us, “What is a Tarving Artist?” We wore paint-spattered clothes and artist aprons filled with paint and brushes. 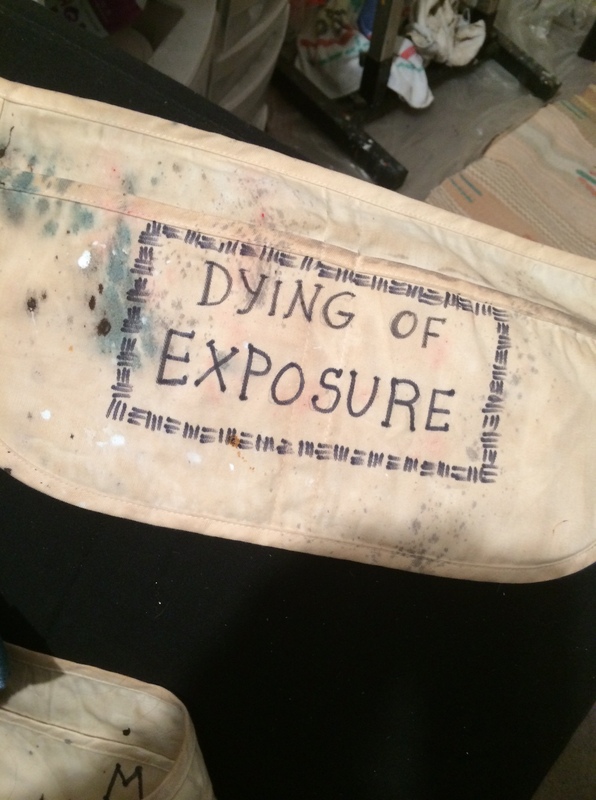 On the aprons we wrote: Dying Of Exposure. Between us we carried a donation bucket with a sign that read: Our “S” was repossessed. Please help us buy it back. In the week prior to the party, Kerri was asked to play for an event. Every artist in the nation is used to hearing the words she hears weekly: “We have no money to pay you but it will be great exposure for you.” She is a consummate, career musician with 15 albums, (going on 16) and needs no help with her exposure. I loved her response: “Let me call my accountant and ask if she accepts exposure for payment.” Her latest encounter with empty exposure started a long hysterical conversation and note-comparison session of all the amazing ways people have asked us to work for anything and everything but money (Yes, it is true. When artists make art they are working as surely as a plumber who plumbs or a doctor who diagnoses. When was the last time you asked your dentist to work for exposure?). The common mistake at the center of every work-for-exposure offer: it will be good for the artist. It’s never good for the artist. For two reasons it’s a notion that is good for everyone but the artist. First, no artist wants the kind of exposure that reinforces that their work is without real value. Second, no creative artist wants to be defined as a player of background music or drawer of dog portraits (unless, of course, their dream in life is to draw dog portraits). The act of drawing or playing a musical instrument is not what defines the artist or their art. 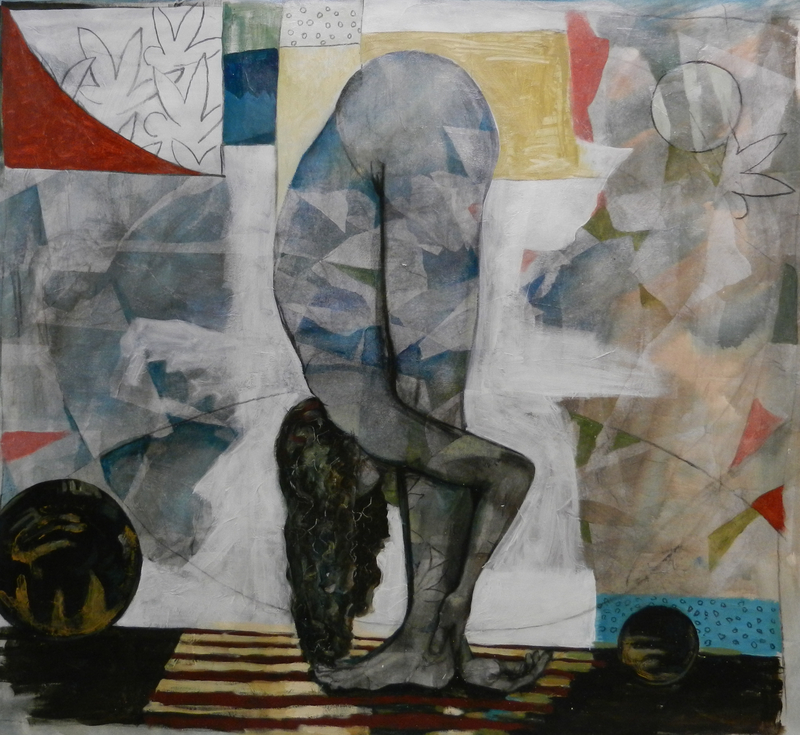 It is a mistake to assume that because I can draw and paint that the act of drawing and painting is what constitutes the art. 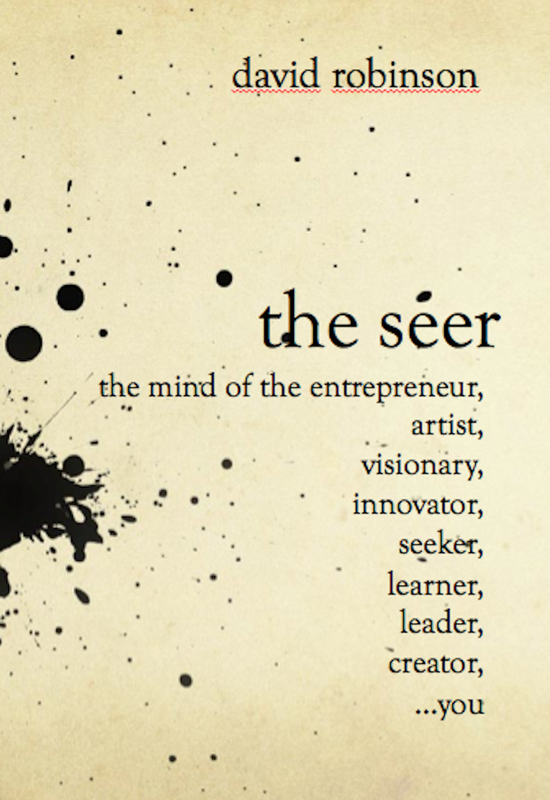 A carpenter uses a hammer but the hammer does not define their work. It is a tool. The keyboard, the paint and brushes are tools. People who pay artists with exposure see the tool but not the artist. That is why Kerri and I opted to change our costume. Certainly dressing as a Tarving Artist was a statement but more than that, we realized that only a starving artist would agree to play for exposure; only a starving artist would agree to hammer incessantly to get the attention of people who can’t see them to begin with. It’s never good for the artist and is always a costume or role they assume for the empty promise of exposure. The cost for the artist is always greater than the exposure and at the end of the day, after trading a bit of their integrity, they still aren’t able to pay the bills.